New Delhi, February 1, 2019: The country’s leading society sensitive company KEI Industries Ltd in association with the Uttar Pradesh Government is participating in making the MAHAKUMBH 2019 a great success. 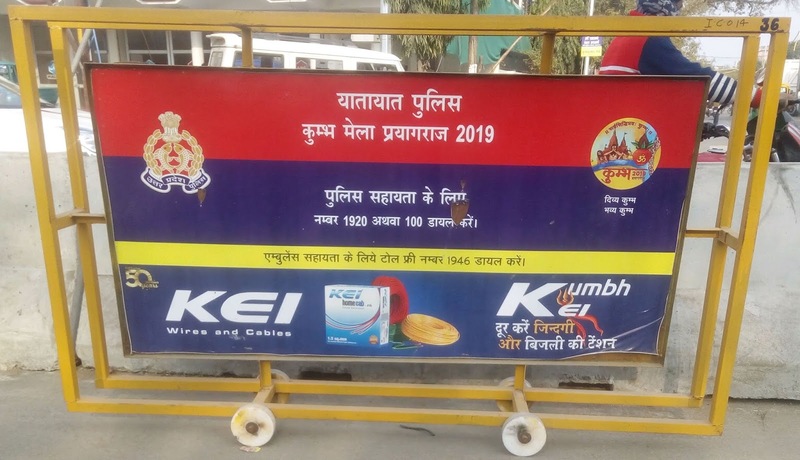 Considering, the huge global crowd coming to the historical city of Prayagraj to take the holy dip, the company is contributing 1000 Life Jackets, 10 Digital Information Kiosks and 100 Traffic Barricades to ensure more safety. The Kumbh Mela (the festival of the sacred pitcher) is anchored in the Hindu mythology. It is the largest public gathering and collective act of faith, anywhere in the world. The Mela draws tens of millions of pilgrims over the course of approximately 48 days to bathe at the sacred confluence of the Ganga, the Yamuna, and the mystical Sarasvati. Kumbh Mela, in Hinduism, is a religious pilgrimage that is celebrated four times over a course of 12 years. The geographical location of Kumbh Mela spans over four locations in India and the Mela site keeps rotating between one of the four pilgrimages on four sacred rivers. Each site’s celebration is based on a distinct set of astrological positions of the Sun, the Moon, and the Jupiter. The celebrations occur at the exact moment when these positions are fully occupied, as it is considered to be the holiest time in Hinduism. The Kumbh Mela is an event that intrinsically encapsulates the science of astronomy, astrology, spirituality, ritualistic traditions, and socio-cultural customs and practices, making it extremely rich in knowledge.